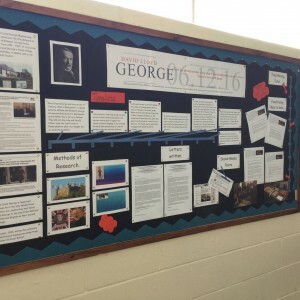 Year 8 pupils Tonypandy Community College in the Rhondda heard about our appeal on the radio and have set themselves a target to raise £100 before the 100th anniversary of Lloyd George becoming Prime Minister on 7th December 2016. The group took part in a Dragon’s Den style pitch to decide which ideas would progress beyond the ideas stage and so far the year 8 boys raised £10.50 by face painting at break time during their school eisteddfod having decided on the idea knowing that Lloyd George was an important supporter of such events. 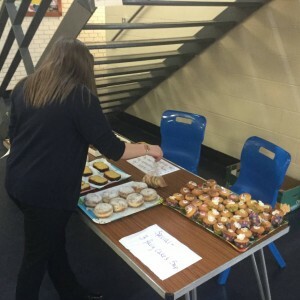 The girls have also been working extremely hard and raised £46.00 by organising a cake sale in conjunction with the celebrations for the Queen’s birthday. A huge thanks to Year 8 Tonypandy for their fundraising efforts – please follow them on their school facebook page and website http://tonypandycollege.co.uk and see what you can do to help them reach their target. By siwan|2016-09-09T14:33:16+00:00September 9th, 2016|News|Comments Off on £100 before the 100th year?